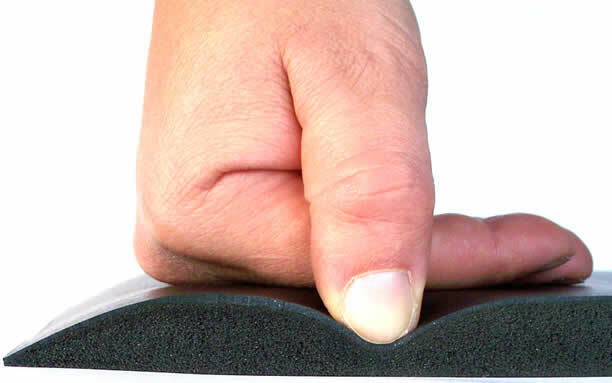 All mats are a 5/8" thick foam for comfort. We use these in our facility and they are so amazingly comfy!! 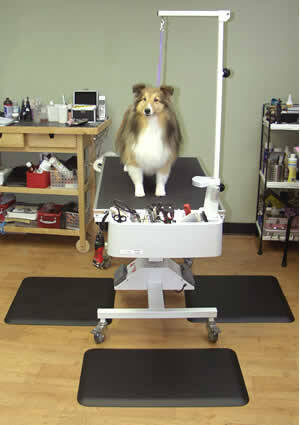 Standing for long periods of time on hard floor surfaces is one of the most common causes of physical fatigue. Muscles constrict causing reduced blood flow. The result is pain and discomfort. The heart is forced to work harder and the body begins to run out of energy. Muscles ache and joints hurt. Anti-fatigue matting from Equipment World Inc. may be the simplest and most effective way to reduce standing worker fatigue. The right anti-fatigue mat for the right application can go a long way towards easing the situation and creating a more productive, quality driven environment. Top surface has a high tensile strength and is more resistant to chemicals, abrasion and punctures than PVC or NBR rubber. 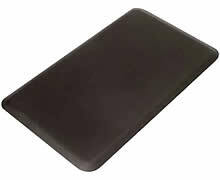 Composite urethane technology consists of elastomeric top surface with high-density soft foam core. No longer available in other colors. With a guarantee against manufacturers' defects and a five year warranty against "wear through" expect years of top performance. If you are looking for a mat that surpasses all others in design, comfort, quality and performance Unique Therapeutic Mats are the ONLY answer. DO NOT USE A SOLUTION CONTAINING BLEACH OR BLEACH PRODUCTS. DO NOT USE A WAX OR PRODUCT THAT WILL LEAVE A RESIDUE. Unique Mats should be stored flat; however it may also be rolled with the foam to the inside and Elastomeric Top Surface to the outside. To roll incorrectly will cause damage to the mat. Any mat with a sealed back surface must always be laid flat.